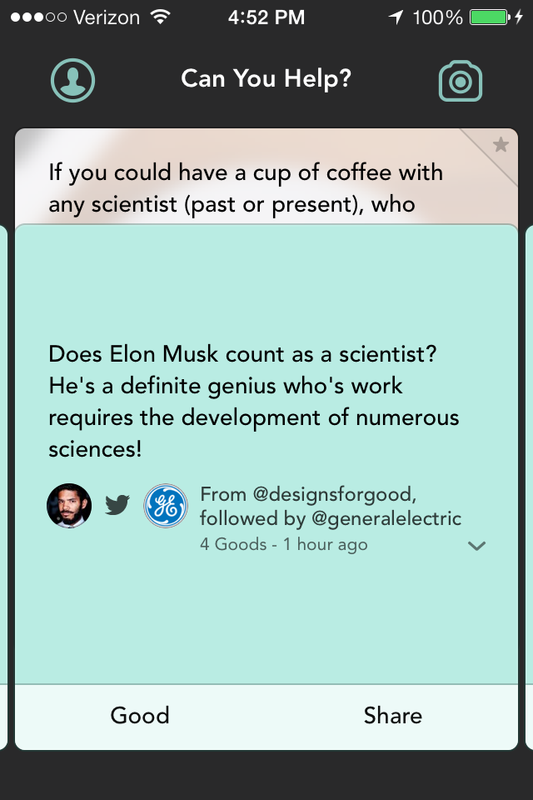 Jelly, the new visual question and answer mobile app from Twitter co-founder Biz Stone launched this week and has gotten a lot of attention lately from a number of tech publications and industry influencers. 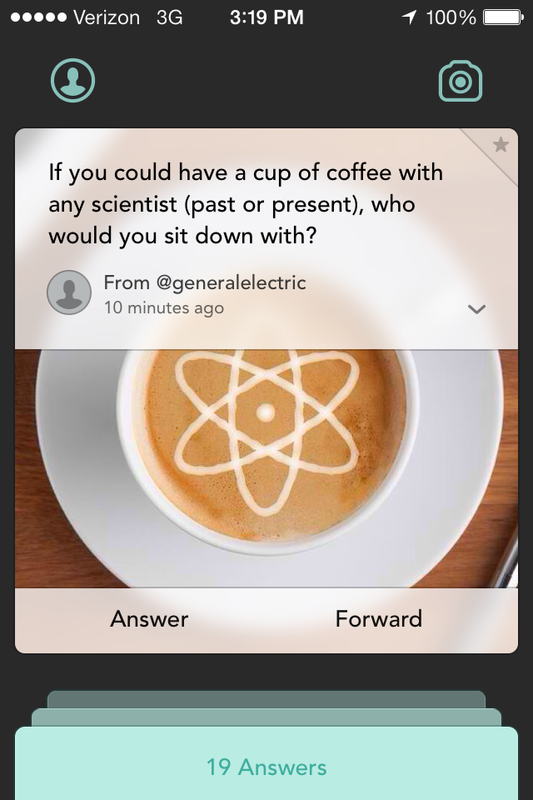 When I first started using the app, which bounces picture-based questions around your social networks, I pretty much felt like it would be a no-brainer for brands to start asking questions on it. Sure enough they have already started experimenting, with General Electric continuing their spirit of early adoption joining Kenneth Cole, Livestrong, and CNBC as some of the first brands on Jelly. In true GE fashion, they started creating content that speaks directly to their brand almost immediately. 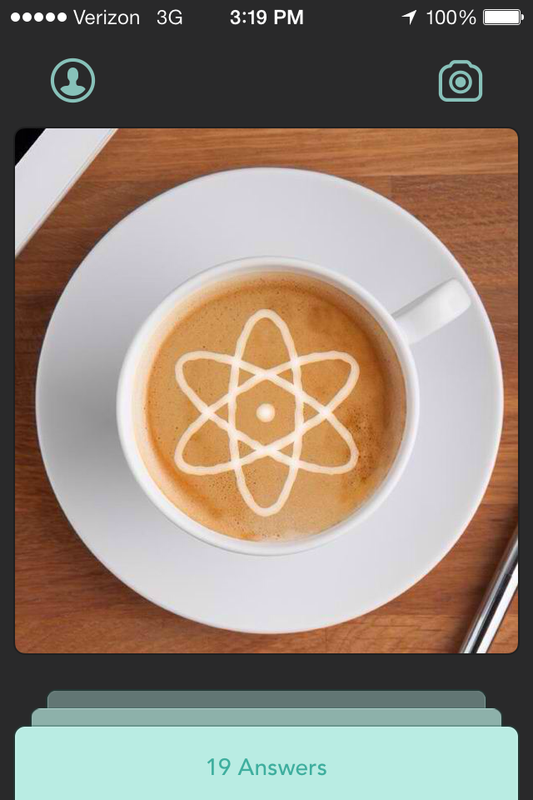 Their first photo and question asks: “If you could have a cup of coffee with any scientist (past or present), who would you sit down with?” and comes complete with a cup of joe styled as if it were created by the GE barista. 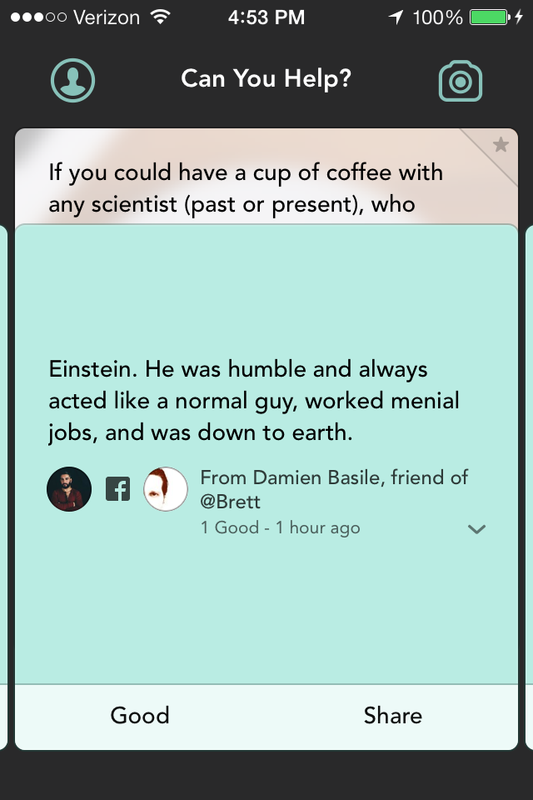 Have you seen any other brands on Jelly? List them in the comments below!